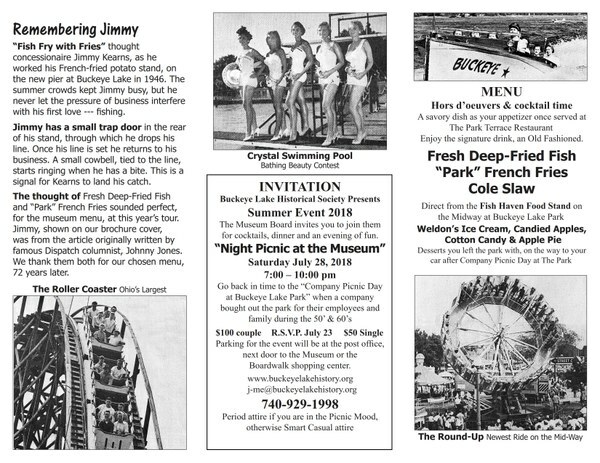 The Buckeye Lake Museum Board invites you to join them for cocktails, dinner, and an evening of fun on Saturday, July 28, 2018 from 7:00 p.m. - 10:00 p.m. at the Buckeye Lake Museum - Buckeye Lake, OH. Click on flyer pages below to view full size. 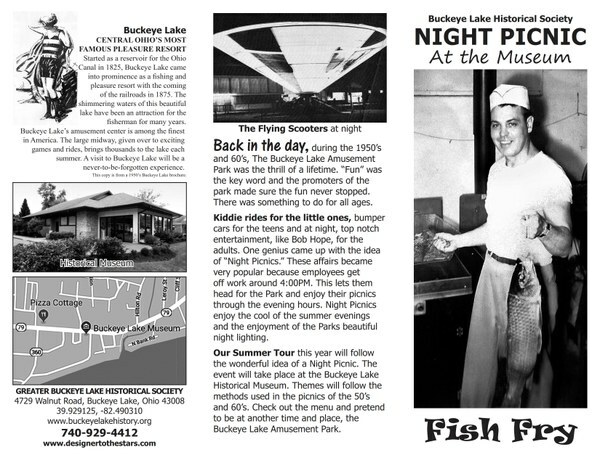 Click HERE to view/download flyer in PDF format.